I know, it sounds strange, but it works! 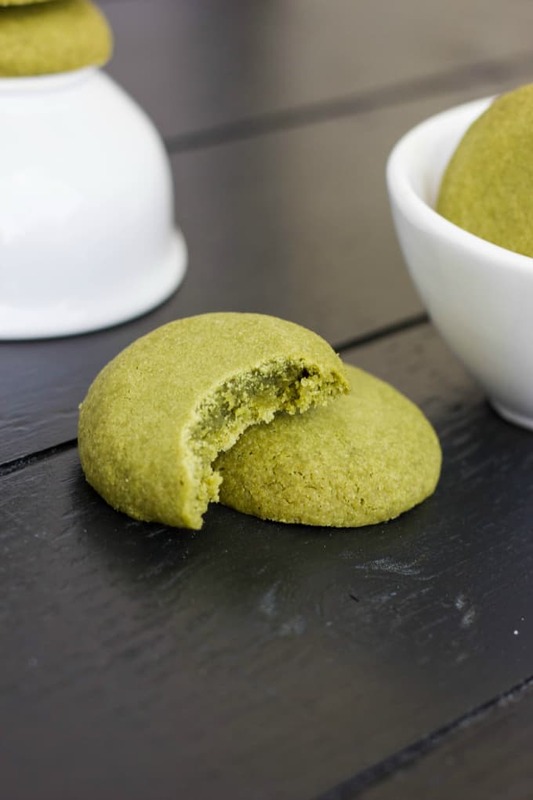 If you are a fan of matcha powder (a big thing in the health world right now,) then you will love these cookies! I know the cookies themselves are not very healthy (hello, butter!) but it is a great way to get the matcha powder into you if you don’t care for tea or smoothies. 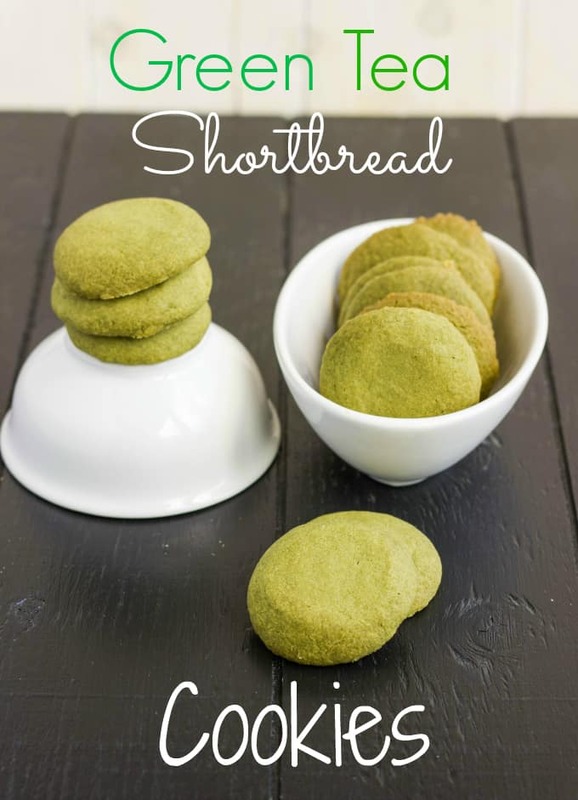 I used my basic shortbread cookie recipe and added the matcha powder to it. The base recipe is so good I knew these had to turn out. Plus, I always make shortbread cookies at Christmas and I now believe I have found a cool alternative to the Grinch Christmas cookies! These cookies have a lovely shade of green with no added food colouring, so keep that in mind! 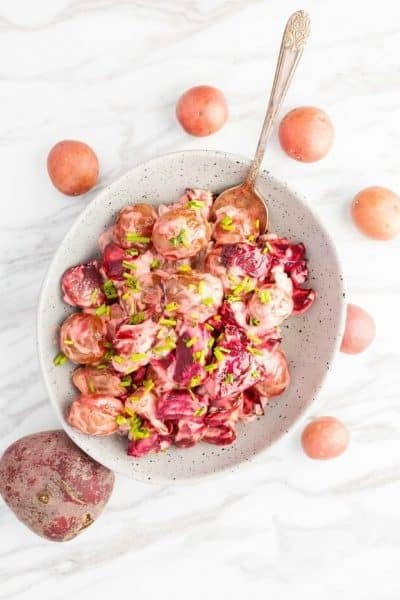 In the bowl of your stand mixer, add all of the ingredients and mix until well combined. 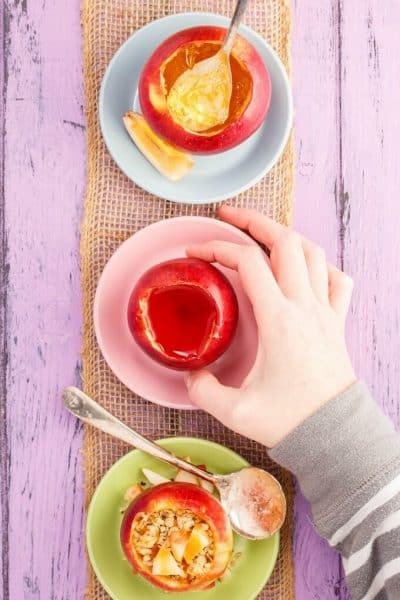 Measure out 1 tablespoonful sized portions and roll into balls. Press down slightly on each cookie ball. Cool on pan for about 5 minutes and then move to wire rack. Now, these cookies are not for everyone. Matcha powder has a unique flavour (we love it here!) But some people just do not like it, and that is understandable. 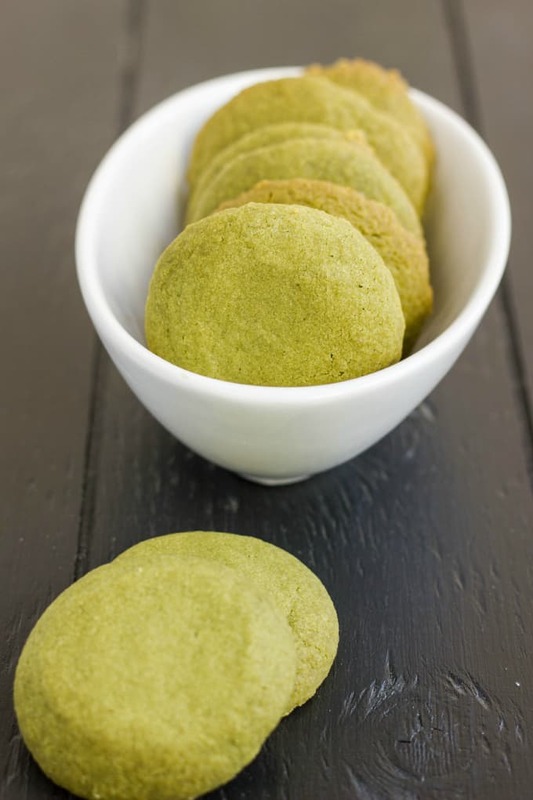 But for the people who do love matcha powder, give these cookies a try! Not healthy at all but at least you are getting the benefits of the matcha! I saw on another site where someone rolled their uncooked cookie dough in granulated sugar before baking. 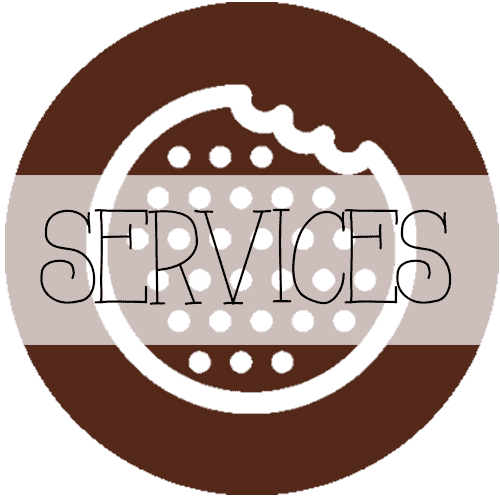 I tried that with a couple but found we stilled preferred the “plain” cookies. Give it a try though, it does add a nice crispiness to them. Never eaten a matcha shortbread cookie before.. great idea Kacey, curious to know what they taste like! Thanks Thalia, I will say this: matcha is an acquired taste :) Thankfully we love it! I made these cookies and I think there is an error in the amount of flour. Should it not be double what is indicated? or at least 2 cups ? 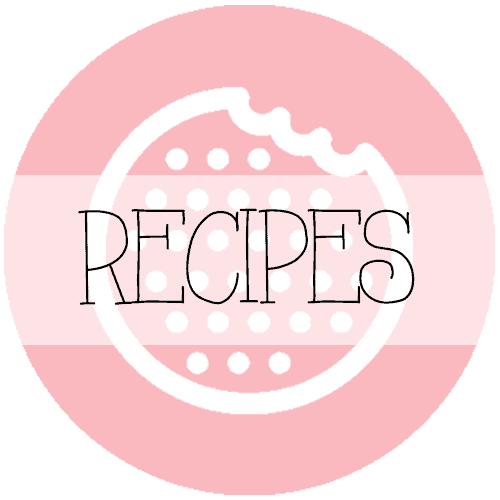 I looked at other shortbread recipes I have , and 1/2 cup butter with 1 1/2 cups flour. Could you please verify ? Hi Karen. 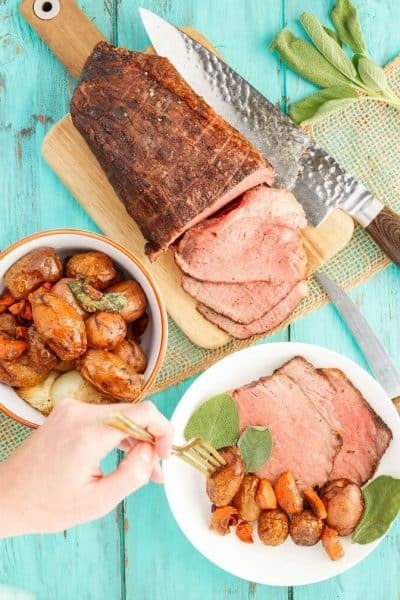 The recipe listed is the one I have used for years and have never had any trouble. The recipe I based these shortbread cookies off of calls for 1 cup butter and 1 1/2 cups flour. Are you including the confectioners' sugar as well? I know many people will chill their cookies before baking if that helps. These look delicious and I might give them a try tomorrow. 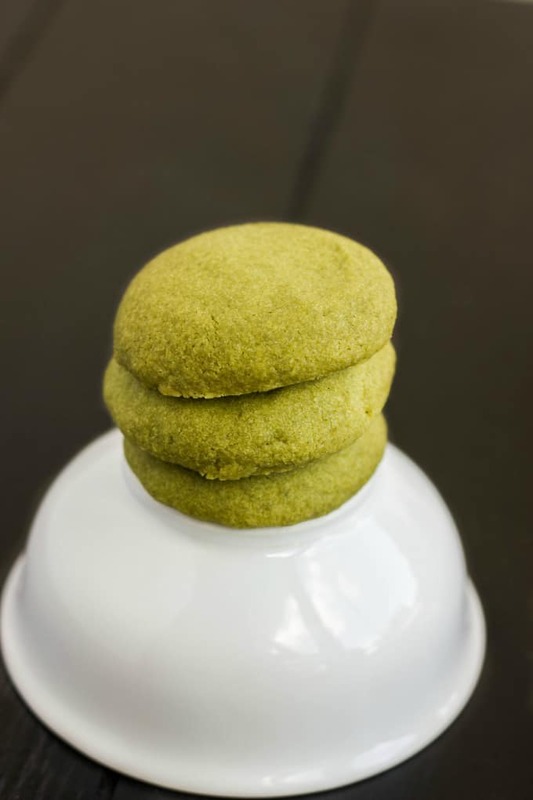 Will 2 tbsp of the matcha powder be enough to give the cookies a noticeable matcha flavour? Thanks. Thanks! I ended up using the 2 tbsp and it was fine. 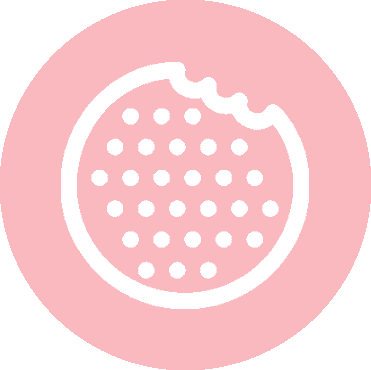 I found that the flavour was even more apparent when drinking milk while eating the cookies :) Delicious! That is great! Glad you enjoyed them. Unfortunately these didn't turn out for me :( I thought I followed the recipe exactly, so I'm not sure what wrong. These look so good! Definitely making these with my matcha.